Now sitting here in my lounge I have forced myself to ‘rediscover’ a chunky knitted wrap I’d been working on in September. I had the yarn very cheaply from an ‘end of bin sale’, started, then realized it wasn’t going to go as far as I’d hoped it would. Of course (just my luck) it was out of manufacture so I searched on ebay and came across more, yet a different colourway. I have put the two together to see if I like it, and it’s growing on me (and growing today in reality) yet I am not sure it will really be ‘me’. I can’t bear to undo so much so I shall continue and hopefully finish it this week or at least by the weekend. Having said that (I kind of promise myself to finish another WIP again ….. ha ha ….. so much temptation out there and so many other things I should be doing), I have a couple of projects I need to start and complete as gifts before Christmas. My teenage son is desperately nurturing his furry upper lip, hoping a moustache would grow for ‘Mo-vember’ this year – it didn’t – so I want to make him a finger-tache for a jokey Christmas gift so he doesn’t worry next year! Also, I fished out a lovely oldish pattern for a baby set from a charity shop the other day and fancy giving it a go. If I ever get round to it I shall try and sell some homemade on line, rather than do them for myself and for gifts! So today, knit a bit, tidy a bit (hubby might be home a day early from a business trip – I must try and be more housewifey! ), after another cup of coffee that is…. 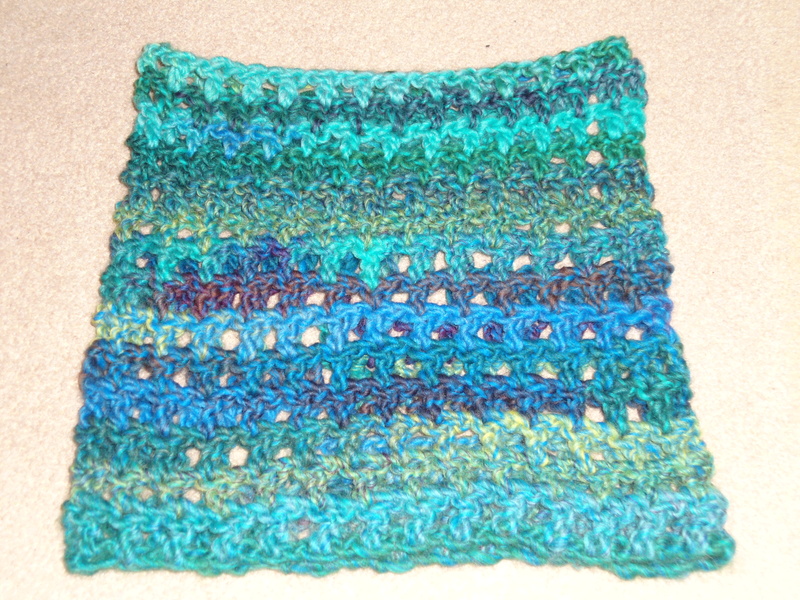 This entry was posted in Uncategorized and tagged homemade, knit, Knitted, Mo-vember, WIP. 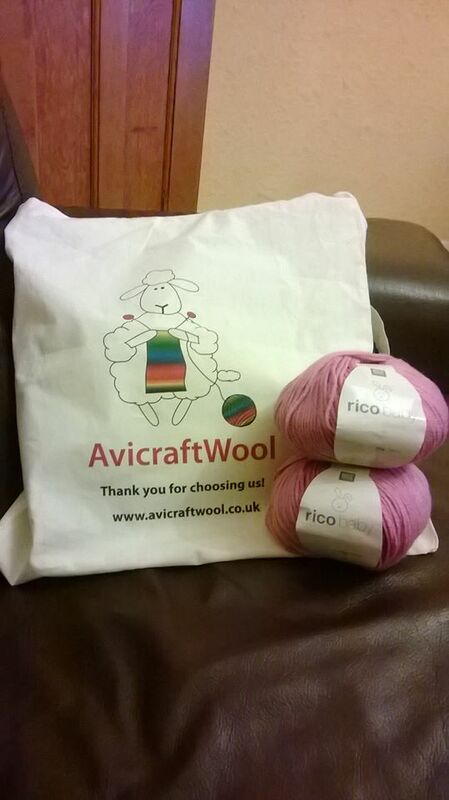 Knitting stuff, a bit of crochet too – I can do it! Last week I started to blog the progress of my latest knit WIP and just posted a photo on here – oops posted it on it’s own then started to write this! I meant to put both together but it is Sunday afternoon and I am struggling a little as it was a late night last night – I am starting to flag already and look forward to an early night catching up on lost sleep tonight! Craftwise I had a quite a good week in the end and finished the baby cardigan and hat in super quick time for me. It’s a first size – although it looks so tiny I can only hope the little one expected in January stays little for a while after she is born so at least she can wear it more than once! I knit baby things from time to time, mainly as display garments in the shop where I work – I must say this is probably the smallest set I’ve done for a while. I also finished a white aran cabled baby hat on Friday – it was very cute, bit stressful on the hands whilst knitting – but I forgot to photograph it. If it is still at work next week (and hasn’t been sold!) then I shall take a pic and pop it on here just for interest. Does anyone else struggle sometimes with aching paws when doing cable knits? I don’t usually find it too much of a bother but the yarn was a bit tough to work with this time and the instruction ‘K1B’ isn’t my favourite. So, you know me, not one to return straight away to another WIP I have started a new project, albeit another QUICK one. My boss has given me yarn and a mystery crochet pattern. I am not a competent crocheter. In fact, my limit has been granny squares. I tried to crochet a long time ago and gave it up, telling myself I am obviously a more natural knitter. This time, and without a picture, I intend to learn beyond a granny square. The pattern, to me, was complete gobbledygook on Wednesday evening, and again 2nd try Friday afternoon! Not only do crochet terms sound unfamiliar, but the pattern is also American not British and terms differ. This pattern is SIMPLE I was told – well, pat on the back to me – if you look at the green and blue photo above – I AM getting it! For those crocheters reading this you may be wondering how I found it so difficult to understand – well, initially I joined it twisted – just like I have done before when knitting hats in the round – then I kept popping the hook in the wrong hole! Now, it feels so easy I am flying through the rounds. I am using a 20mm hook, mind you, so of course it will grow quickly. I shall chart my progress here. As for the rest of the week – non-craftwise – bit odd. Too much time at work, fewer customers than hoped for. Too much time hanging around at home with the builders home. We had a new front door put in on Thursday – it’s great to look at but when inspected by hubby Saturday morning he isn’t happy with the job so I will need to wait in again for a 2nd visit. This is on top of waiting in for other building supply deliveries, blah, blah, feeling a little frustrated. Love the hubby dearly but sometimes he was Mr DIY and could do all these jobs himself. As the builder said though, he just couldn’t do the job my hubby does. That makes it square peg in a square hole for both of them then. This entry was posted in Uncategorized and tagged crochet, DIY, K1B, knit, yarn. One baby knit done ! Ta dah! 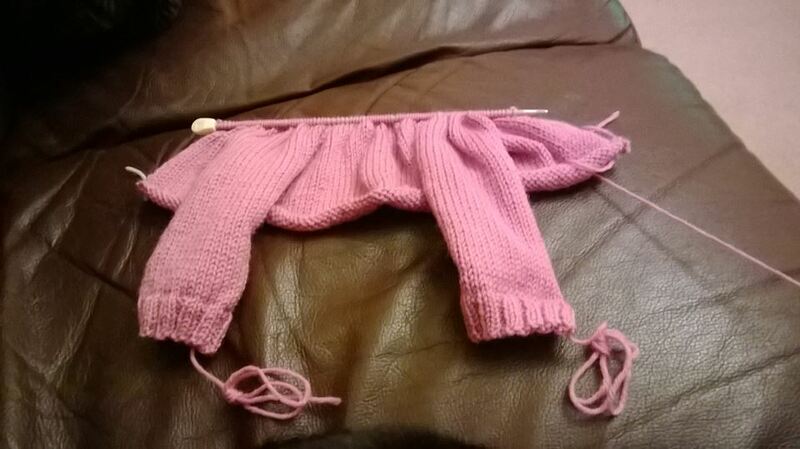 Baby pink cardi and hat finished. This entry was posted in Uncategorized and tagged baby knit, cardi, knit. My current project nearly finished! The key to success? As the proud (not sure if I can really be proud …can I, if I haven’t finished them??) owner of several Works In Progress (WIPs) I’ve been happily knitting away for a lot of the weekend. I can see the light at the end of the tunnel on this one – I am actually close to finishing my latest creation. Hurrah! I think it must be that this one is a teeny tiny baby set and so manageable/portable/almost simple. Is that the key to success? Keep them small, keep them simple and work on one project solely? Knowing and hearing myself say all this, it will not stop me from knitting larger projects. After all, we are not all teeny tiny small people and cannot wear gloves and other accessories on their own. 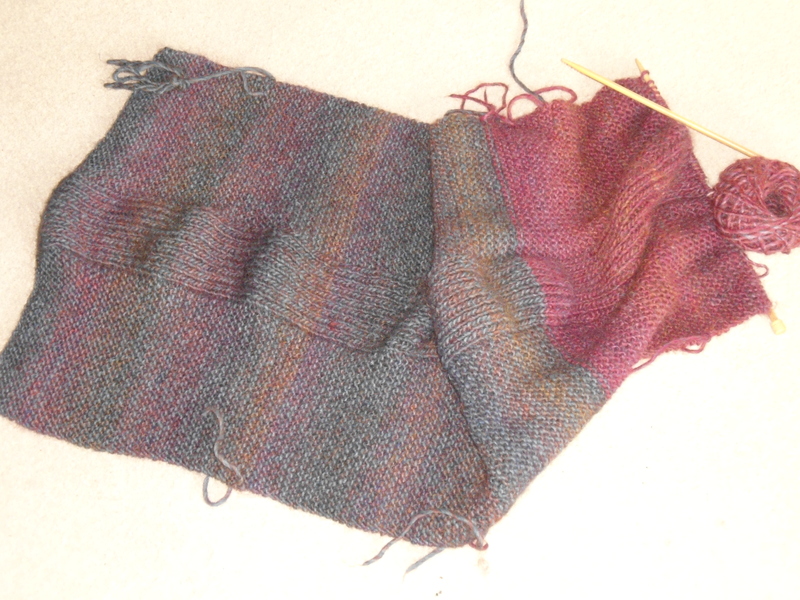 I look forward to continuing with the oh so soft alpaca top I began three weeks ago. I discovered a wonderful new yarn shop, fairly local to me. It is a treasure trove of loveliness, with shelves of the softest, squishyest (is that even a word? if not, it should be) yarn. I began to knit this top one evening whilst sitting in front of the tv. 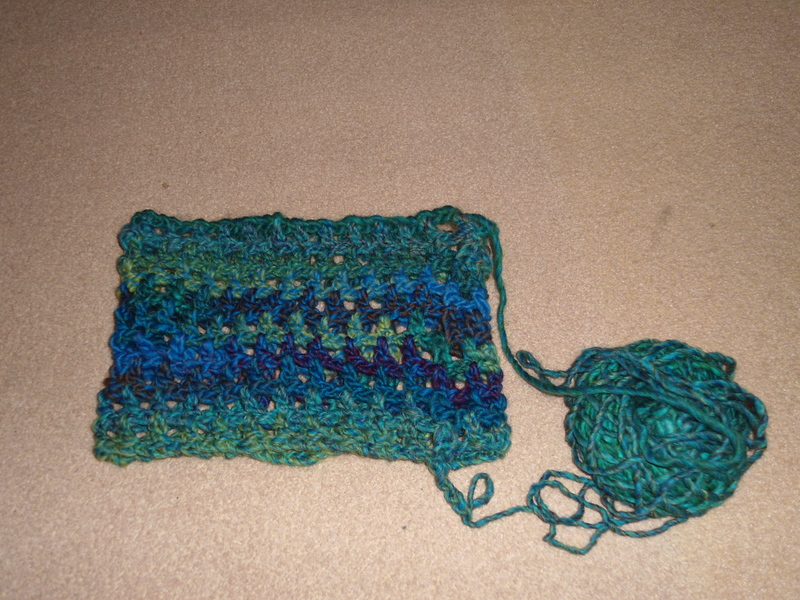 I was getting along just fine when I thought ‘hey, that’s odd, I seem to be using an awful lot of this yarn already’….. I looked at my circular needle and realized I’d begun the new project on a much smaller size than the pattern prescribed. I’d had a selection of needles nearby and mistakenly picked the wrong one. What is odd too, is that the project gauge felt ok, not too tight or heavy, just warm and luxurious! Still, by then I’d done way too much to frog it (the back and two fronts of this item are knit in one piece, I’d already worked about 10 inches by then) so I decided to continue and pop back to the shop the next day and purchase more yarn to see it through. That is just one of the ‘mistakes’ in my knitting world, albeit hopefully a pleasant one (and of course, costly this time). How many of us have not measured as we go along, discovered garments too big/too small/arms only suitable for a chimpanzee or a small goat when we’ve finished?!! So, onwards and upwards with this little project. I shall pop a pic on here when I am done. As for a couple of other things going on: we are revamping parts of our house. I am at home today, supposedly waiting in to have a new front door fitted. I just had a call to say the builders can’t make it until Thursday now! That makes me grumpy as I’ve been saving up things to do at home and am sitting here in mega warm clothes predicting that a day without a front door will mean a house like one on the arctic circle – have to change, and change my plans too now! That, on top of the delivery of only half a new bathroom suite last Monday just slightly infuriates me. The delivery of the rest of the bathroom suite is not scheduled yet. Too, a kitchen worksurface should arrive next Monday – I need to be at home ‘anytime between 9am and 5pm’ for that. It was a bit of a bargain, after some negotiation on the price, so I shouldn’t moan about it. However, why do so many delivery companies think you have all the time in the world to wait in for their vans, and do not have a life outside the boundaries of your property, you just wait at home at their beck and call? Sound off done for now. As if I needed to add to the looooonnnng list of WIPs! Ha Ha! …..
As for what else I have been doing for the rest of the week – well, up to my neck being busy doing lots of things. I popped into work for a couple of days. Nothing much out of the ordinary there. We are usually a little busier this time of year but I am sure with the predicted colder weather we shall have some customers coming in to panic buy yarn to knit up quickly. I plan to knit a lot this weekend, in between shopping for new bathroom fittings and visiting the out-laws! I have been day-dreaming a lot this week. I think it’s got a lot to do with last weekend’s trip away with an old friend. We talked about what our hopes and dreams had been when we were in our late teens/early twenties. I realized I had not fulfilled many of them. I am hoping there is still time to do a lot of them. Life sure does whizz by at an incredible rate these days. My Nan always used to say life goes quicker the older you get! I was just tidying my laptop files and came across this photo of some slightly wacky knitted hearts I made a year or so ago. I was practicising short row shaping and used some thick felting yarn. 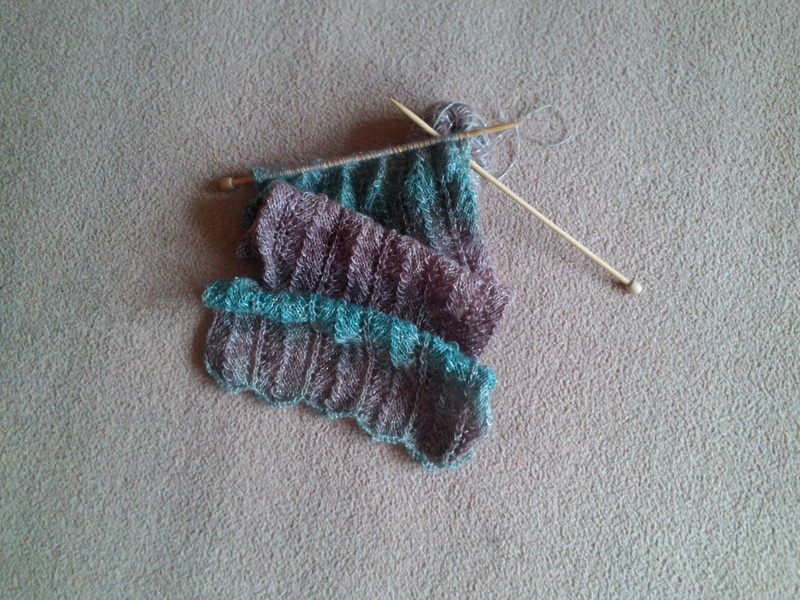 It was rather fun and since the yarn was variegated all the hearts came out looking very differently. It’s great to have had time to play a little with sticks and yarn. At the moment I don’t feel I have much time to just play. I seem to run around like a headless chicken most weeks, chasing one thing after another and not getting much done. Last week I didn’t keep up with my knitting projects as well as I’d hoped, and over this weekend I didn’t pick up the needles at all! I had a fabulous Spa Break away with a friend, relaxing, reading, swimming and chilling, but the new project I took to start at a quiet moment didn’t even make it out of the bag. The new project is a baby gift for a little one due in January – that gives me a few weeks to fit in the making of it inbetween the finishing off of the current WIP. I think I might need to give up sleep to fit it all in! Back from holiday, rested….. well that feeling didn’t last too long. How is it that if you cope with being too busy at one time you tend to carry on getting busier and busier until something gives? As soon as I logged onto a knitting forum I belong to there was a little worry to deal with. Then my first visit to work started to become a little tense at one point. I haven’t slept well since I’ve been back either – mind you that could be down to hubby’s incredible snoring. We were away together last week (rather than him being away and me being stuck at home! ), however his snoring did not, and usually doesn’t, bother me. Well, last night I sat up late on the laptop whilst he headed off to bed a little earlier. I thought a herd of elephants had landed in the bedroom after just five minutes – the snorting I could hear!! His friends all wonder how on earth we’ve been together so long (23 years). I think once I am asleep nothing disturbs me. However, as I said, I heard him before I headed up to bed and knew it would take me a while to drop off! So what was I doing staying up late when I was already overtired? After work I dashed home, threw dinner together, caught up with my son over the meal, hearing all about his day at school (he did ‘nothing much’, he said, of course he’s a teenager!). Then off to knit club for a couple of hours, a nice giggle with friends. When I came home I chatted to hubby for a while, checked my emails, then the knitting forum too (knittingparadise.com) . It’s amazing how much time you can ‘lose’ on line. Hardly any knitting done at all yesterday, apart from 16 rows at knit club. For once most of us actually knitted and chatted. It’s a lovely group. One great family come along – a girl in her 20’s, her mum in her 50’s and her Nan who we think is in her 80’s, but of course we haven’t asked Nana Pat herself as that is just too impolite. The rest of us are a mix of ages and abiltiies. Some are more proficient knitters than others. We just enjoy the camaraderie and inspiration. This entry was posted in Uncategorized and tagged knit club, knitting, knittingparadise, snoring, teenager.